Diagnostic Accuracy is related to the ability of test to discriminate between the target condition and health. A diagnostic testaccuracy study provides evidence on how well a test correctly identifies or rules out disease and informs the subsequent decisions about treatment for clinicians, their patients, and healthcare providers. Specificity is a measure of a diagnostic test accuracy, complementary to sensitivity. It is defined as a proportion of subjects without the disease with negative test result in total of subjects without disease. 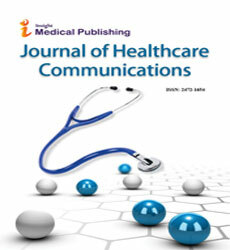 Health Affairs, Journal of Medical Diagnostic Methods, Journal of Cardiovascular Diseases & Diagnosis, Journal of Cancer Diagnosis, Journal of Infectious Diseases and Diagnosis, JBR Journal of Clinical Diagnosis and Research, International Journal of Obesity, Journal of Clinical and Diagnostic Research, Journal of Medical Diagnostic Methods, Journal of Diagnostic Medical Sonography.